US officials are denying accusations raised in an incredible BuzzFeed News report published Friday, in which a senior US Treasury official accused the intelligence arm of the Treasury Department of illegally spying on US citizens. A Senate source now tells Gizmodo that department officials may be called to brief the Senate Intelligence Committee over the matter. The Treasury official, who spoke to BuzzFeed News on the condition of anonymity, implicated Treasury’s Office of Intelligence and Analysis (OIA) in “domestic spying.” The report, which cited multiple government officials, stated that the OIA had “repeatedly and systematically” violated domestic surveillance laws by rifling through the private records of US citizens without legal authority. Accusations that the OIA has been illegally collecting and storing data on US citizens—as well as providing the National Security Agency and other intelligence agencies with “illegal backdoor access” to US citizens’ financial records—has already prompted a response from lawmakers charged with overseeing the intelligence community. 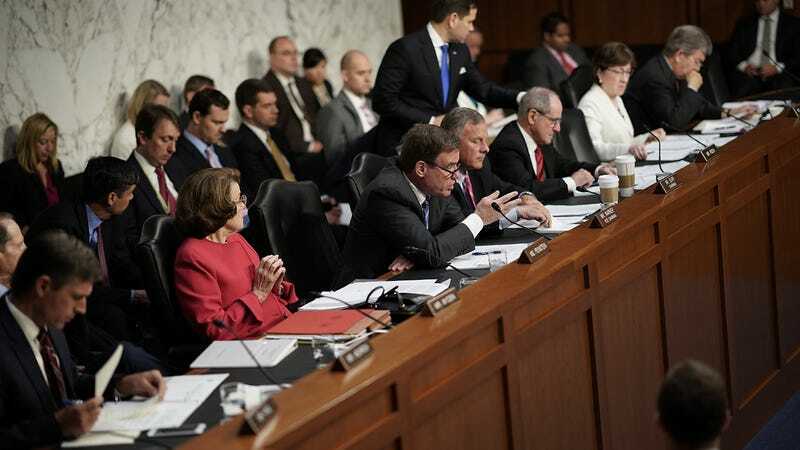 A Senate aide, who described the allegations as “alarming,” told Gizmodo that Sen. Mark Warner would likely call for Treasury officials to appear before the Senate Intelligence Committee and respond to questions over the report. The Treasury Department told Sen. Warner, the panel’s ranking Democrat, that the report was “not true,” the source said. At issue, according to BuzzFeed’s report, is a vast database of US citizens’ financial information turned over to the government by banks in accordance with federal law intended to track suspicious transactions. The database is maintained by the Financial Crimes Enforcement Network (FinCEN), a bureau under the Treasury Department’s umbrella charged with investigating money laundering, terrorist financing, illicit drug trade, and other shady business. Unlike FinCEN, the OIA is a component of the US intelligence community and focused on criminal activity outside the US. It is therefore bound by a Reagan-era executive order that limits the ways in intelligence agencies focused on foreign threats target Americans. OIA is required, for instance, to establish its own internal guidelines with regard to domestic surveillance; the guidelines must in turn be approved by the US attorney general. It has never done so—a fact noted by national security and civil liberties reporter Marcy Wheeler nearly three years ago.